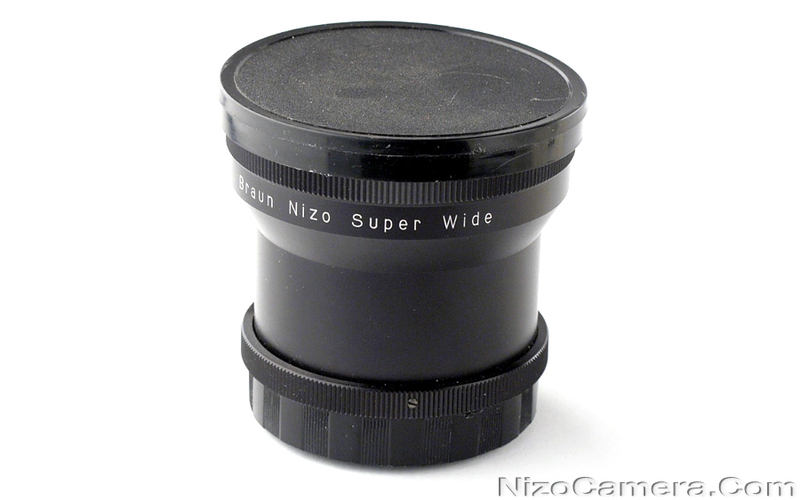 Super Wide fish eye lens 0.38 for Nizo 136 spezial / XL and S 80. 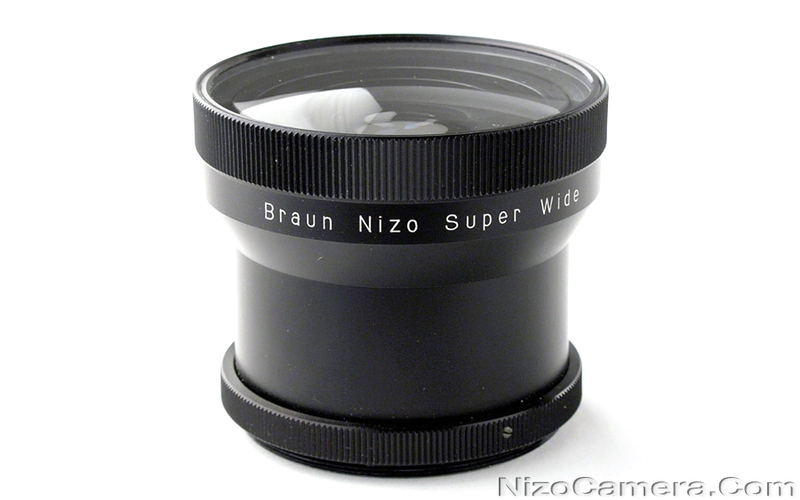 Changes the focal lenght by a factor of 0.38 (example: 0.38 x 12 mm = 4.56 mm). 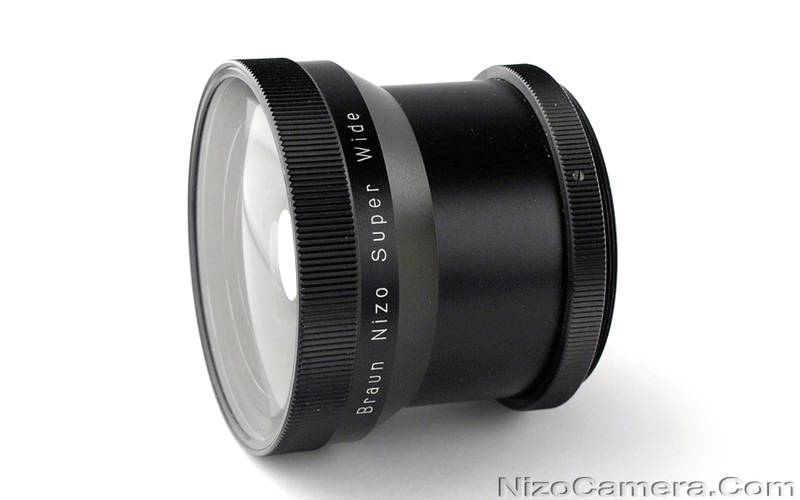 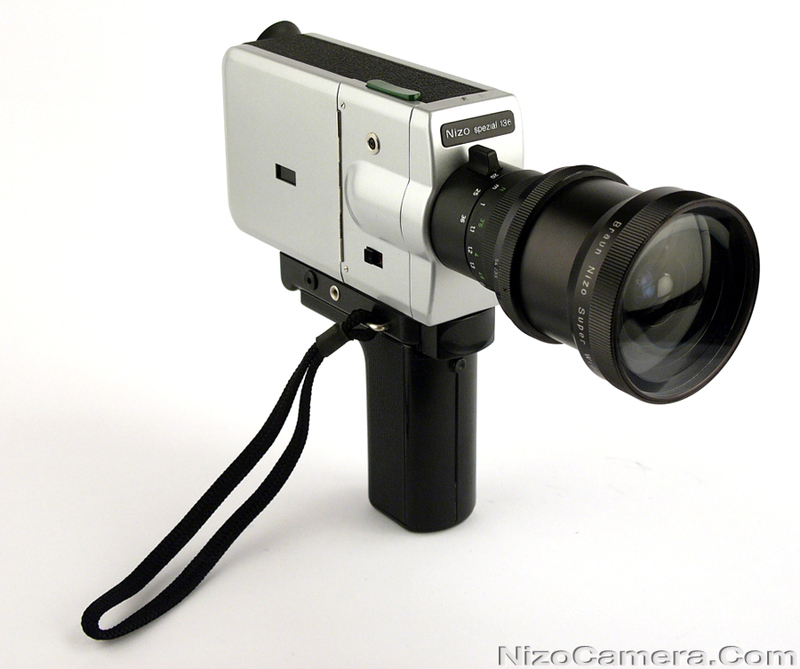 The Nizo 136 requires a step-down adapter M54 --> M39, Nizo S 80 M54 --> M52.